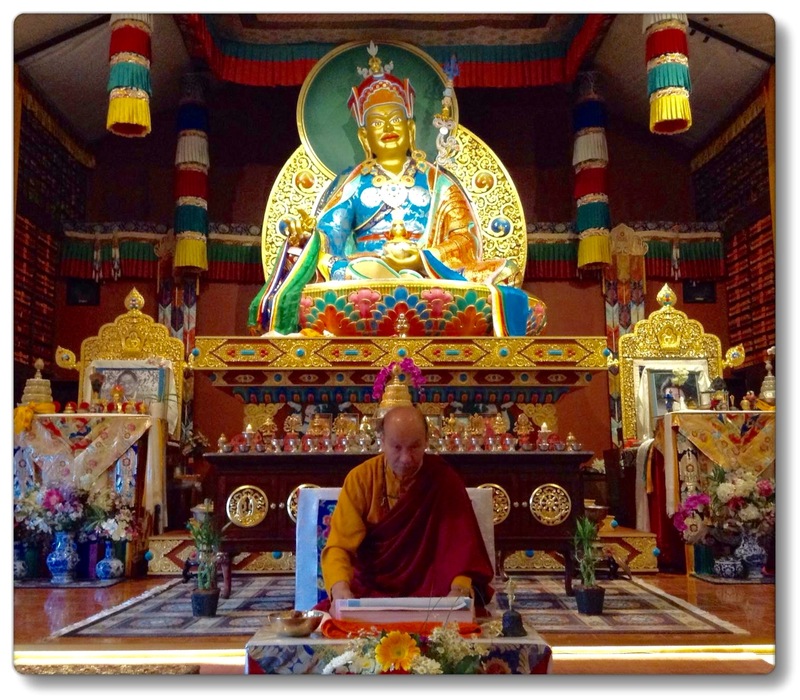 It was a wonderful day at the Pema Osel Ling Shrine Room for the ngondro accumulation Sunday with the opportunity to practice in front of the Guru Rinpoche statue and inspire practice. There were 14 participants. Lama Sonam Rinpoche gave the lung and spoke for a while about how profound ngondro is. Afterwards, a few of the participants joined Stefan Graves in a discussion while eating lunch on the Shrine Meadow. Mark your calendars for the next Ngondro Accumulation Sunday ~~~> November 15th.